A sign announcing the store will be closing hangs above a Sears store on Aug. 24, 2017 in Chicago. Sears Holdings Corporation, which owns both Sears and Kmart, said it was planning on closing another 28 Kmart stores. Customers shop at a Sears store in Woodfield Mall July 20, 2017 in Schaumburg, Ill. Sears announced that it had agreed to sell Kenmore appliances on Amazon.com. Shoppers walk into Sears in Peabody, Mass., on May 17, 2012. A worker repairs the sign outside the Sears Grand store in Solon, Ohio, on Feb. 13, 2015. This is a vintage Sears Roebuck & Co. in Rochester, N.Y. 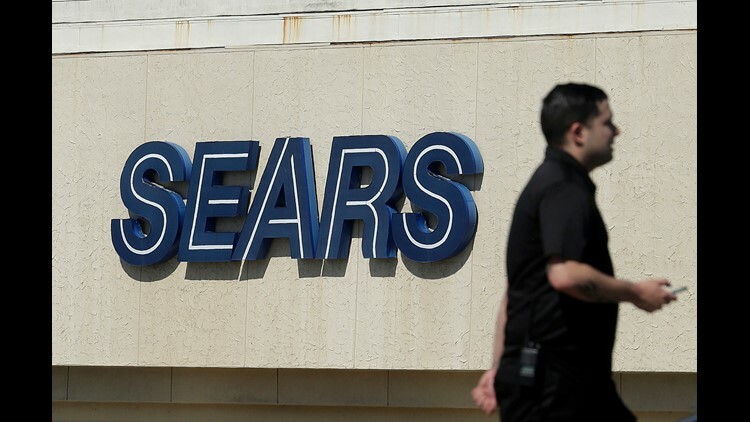 The company that operates Sears, the department store chain that dominated retail for decades, warned March 21, 2017, that it faces "substantial doubt" about its ability to stay in business unless it can borrow more and tap cash from more of its assets. A crowd gathers for the grand opening of a Sears store on Chicago in 1932. Sears, which at the end of its fiscal year had about 140,000 employees, said that it expects to continue to try to generate cash from real estate sales and borrowing. A "Black Friday" advertisement for Sears is seen on an iPad in Annapolis, MD Nov. 16, 2014. The Sears store at Eaton Centre in Toronto, Canado Oct, 29, 2013. The Sears at the Chambersburg Mall in Scotland, Pa. closed it's doors in January 2015. Craftsman tools sold by Sears at this Bethel Park, Pa., store. This is a Sears-Roebuck in Rochester, N.Y. Founded in 1886, Sears was built around its famous catalog that was so complete that entire houses could be ordered -- delivered in pieces to be built on a site. This is a Sears-Roebuck in Rochester NY. Women crowd the counters of one of the first Sears retail stores in 1925. Five year old Kathy Diviney receives a sucker after talking with Santa Clause at the Sears Department store in downtown Nashville Dec. 13, 1966. This ad is from a 1908 Sears, Roebuck and Company catalog. Appliances are on display at a Sears store in Berlin, Vt.
A Sears store is seen in Coral Gables, Florida.